Gurushots.com just published a list of photos called “32 Delicious Examples Of Food Photography. Guaranteed To Inspire And Make Your Tummy Rumble.” My photo, called Strawberry Slices, just made #17 and I couldn’t be happier! The strange thing is that I took this photo exactly one year ago today! It was shot with my old Canon 6D and a 24-105mm lens in my garage. 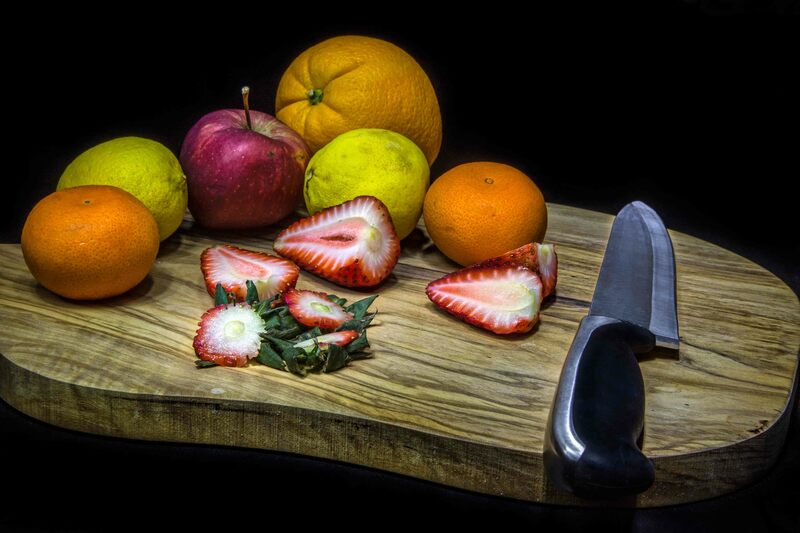 Cut strawberries with other fruits on a cutting board.